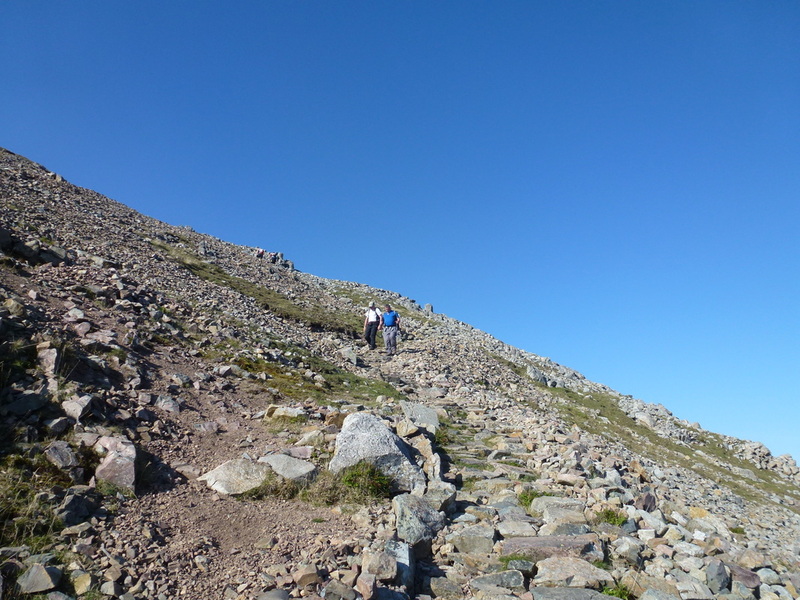 Mainly good mountain paths. 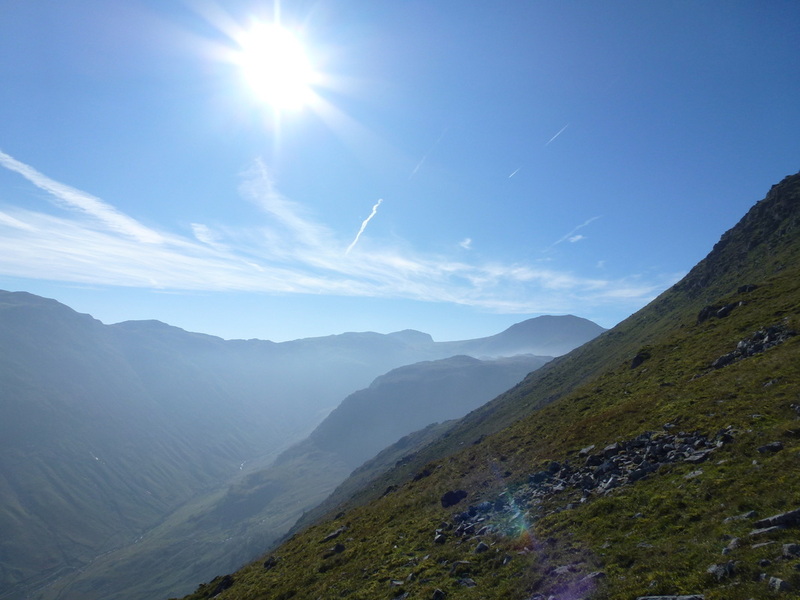 The section between leaving the Gillercomb path at Sourmilk Gill and Base Brown is pathless but the terrain is good. 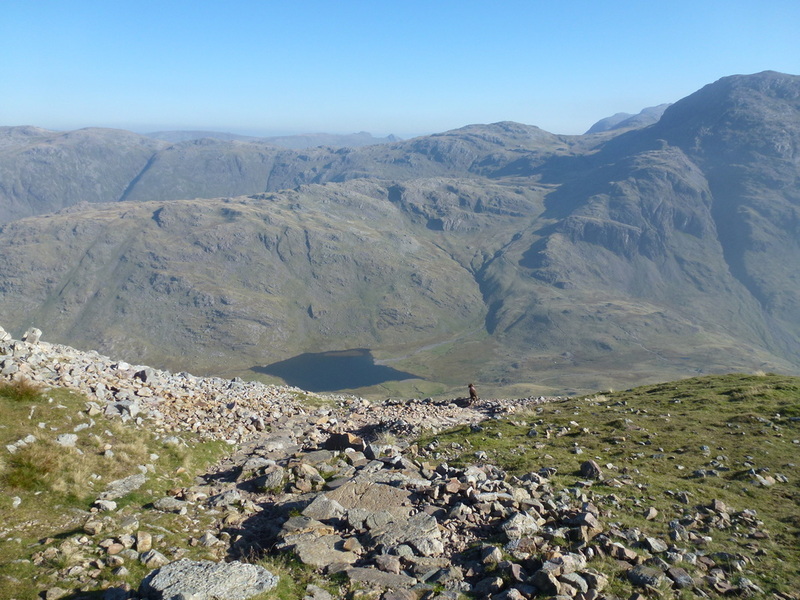 The descent to Windy Gap from Green Gable contains loose scree and care needs to be taken. 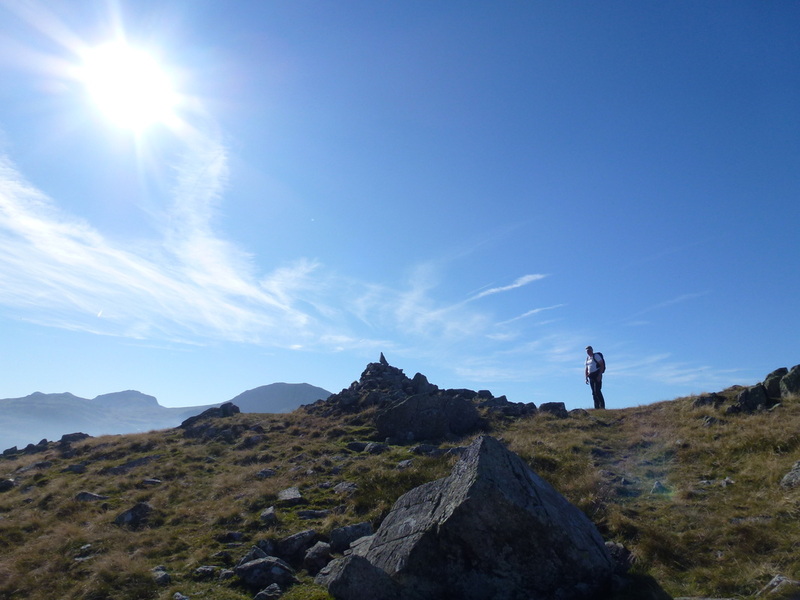 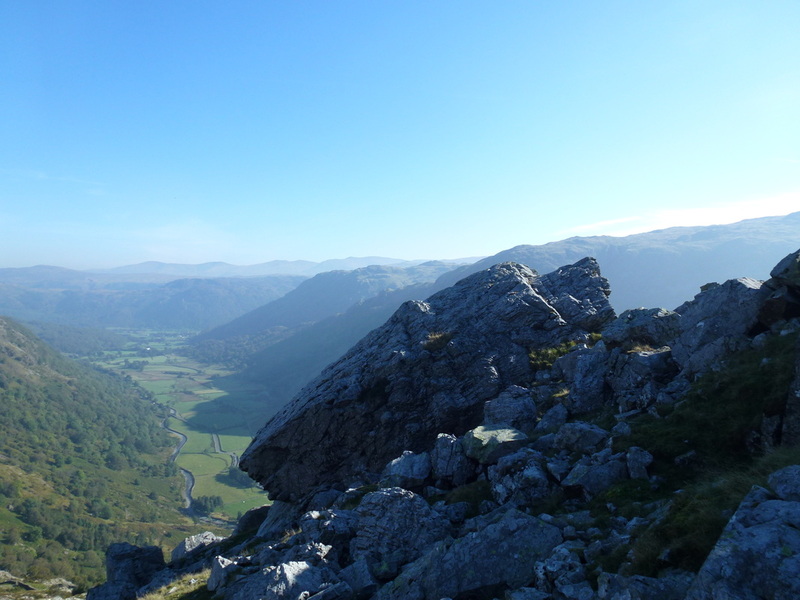 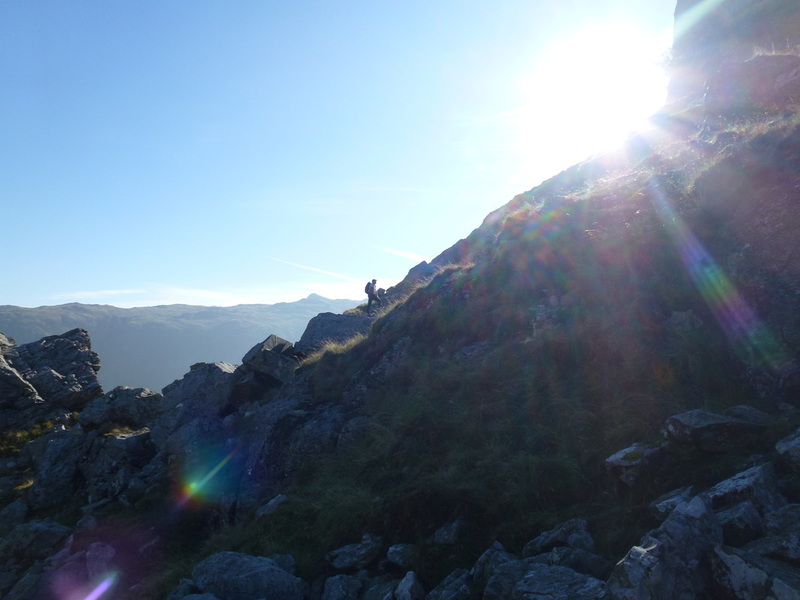 It is not often that we find ourselves nearly 3000 feet up a mountain in the Lake District, in t-shirts in October. 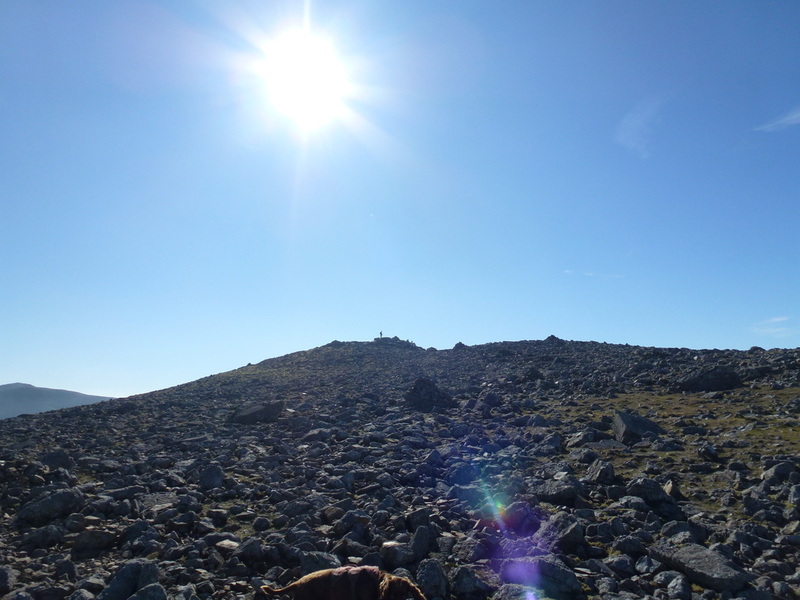 Today was one of those days where the weather and conditions were almost perfect. 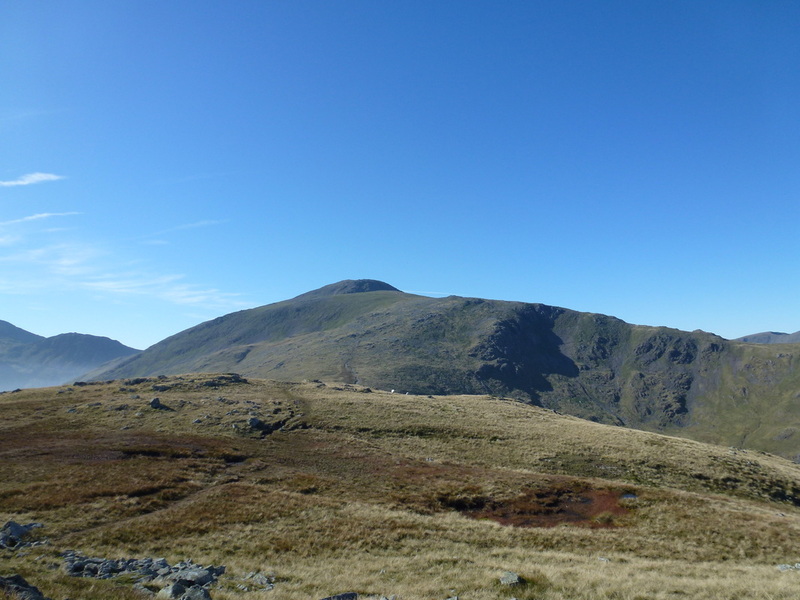 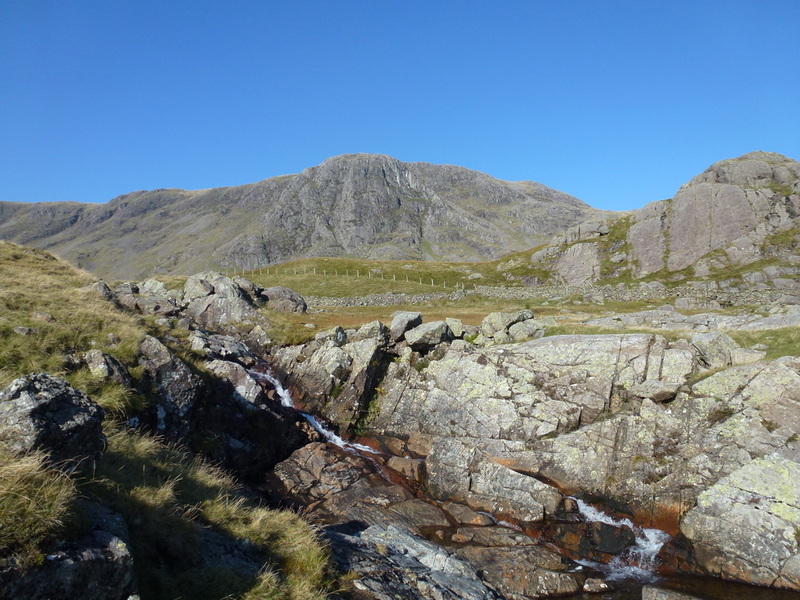 Where else to go on a day like today - why Great Gable of course. 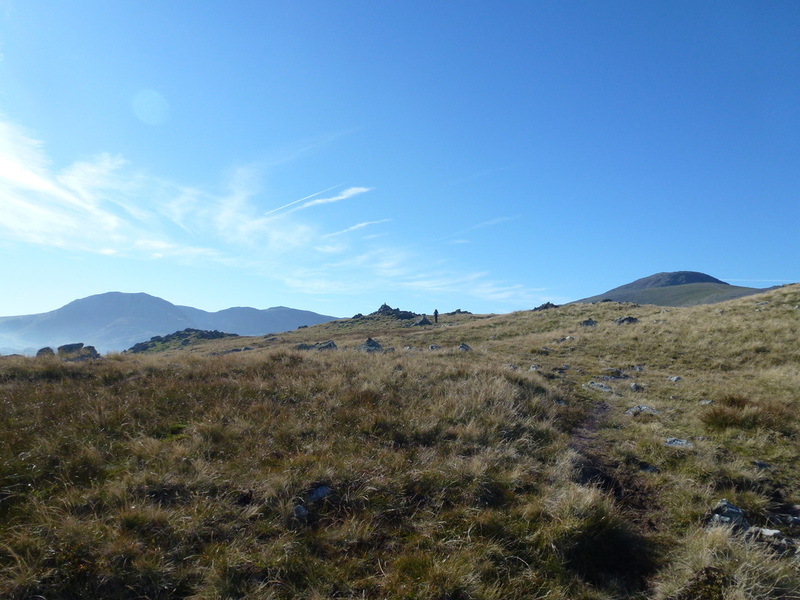 It was a Friday therefore we chose a route up that would not be too busy and hoped that the summit would not be overcrowded - we were in luck. 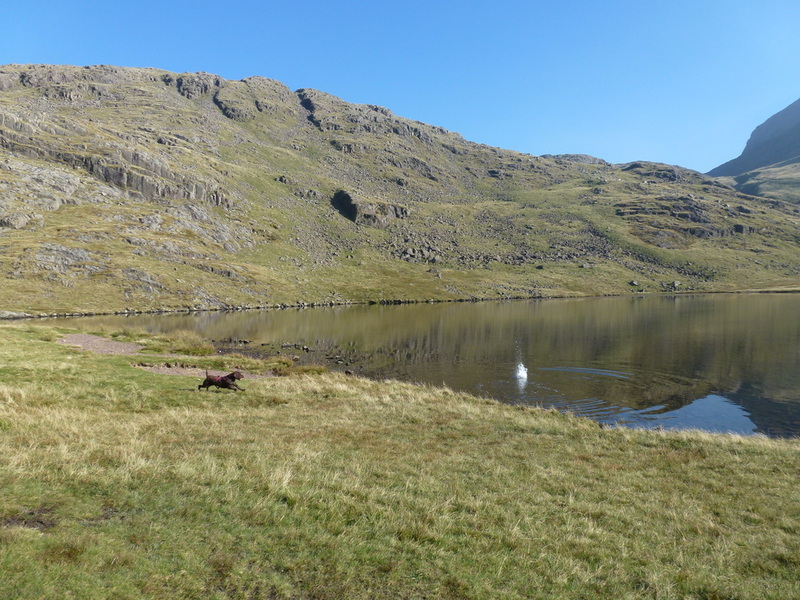 We had company today, having arranged to meet our friend Wayne who had travelled down to Seathwaite that morning. 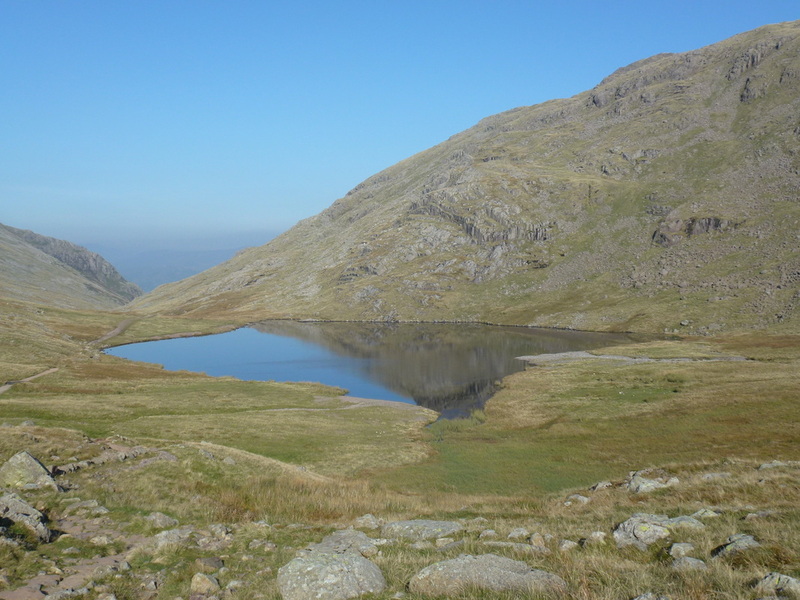 We started from the popular parking area just before Seathwaite Farm. 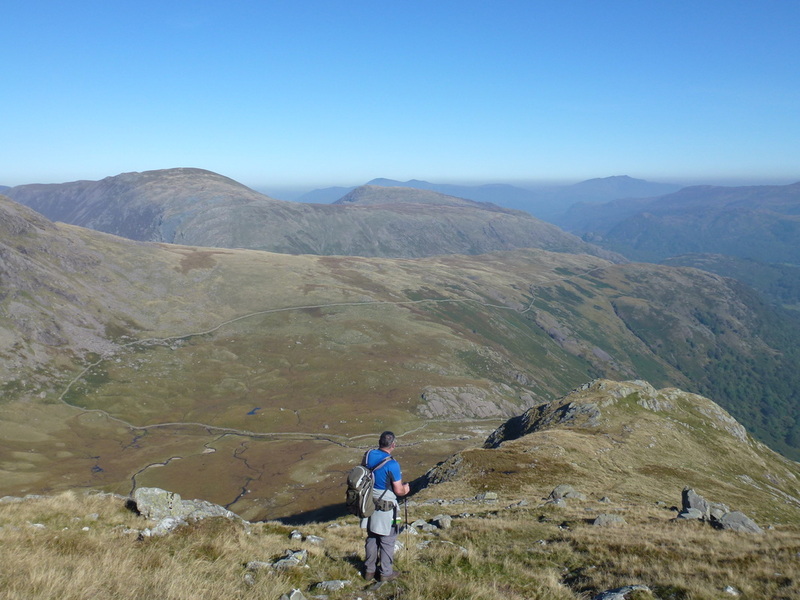 There is plenty of parking here however if you were doing this walk on a weekend it might pay to arrive early as this can be a busy place to park. 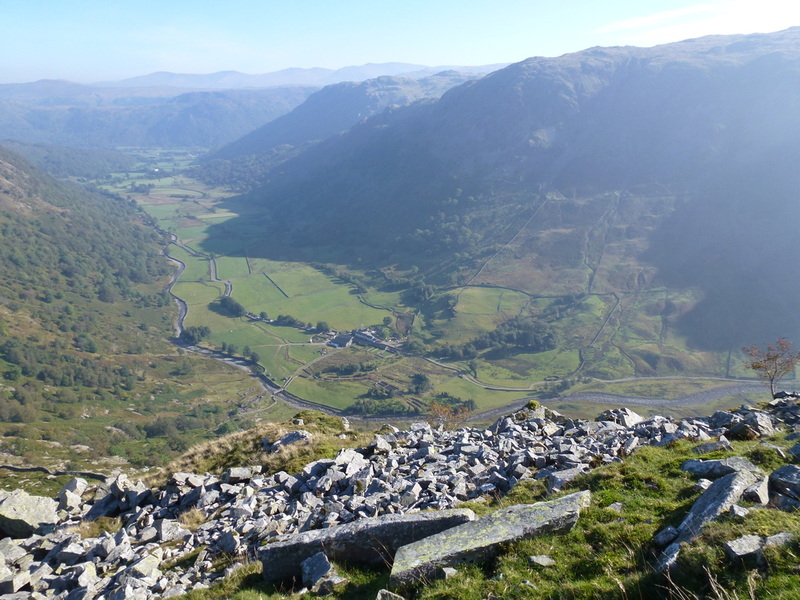 The parking is free and is mainly on the grass verge although there is other parking right up at the farm for a small charge. 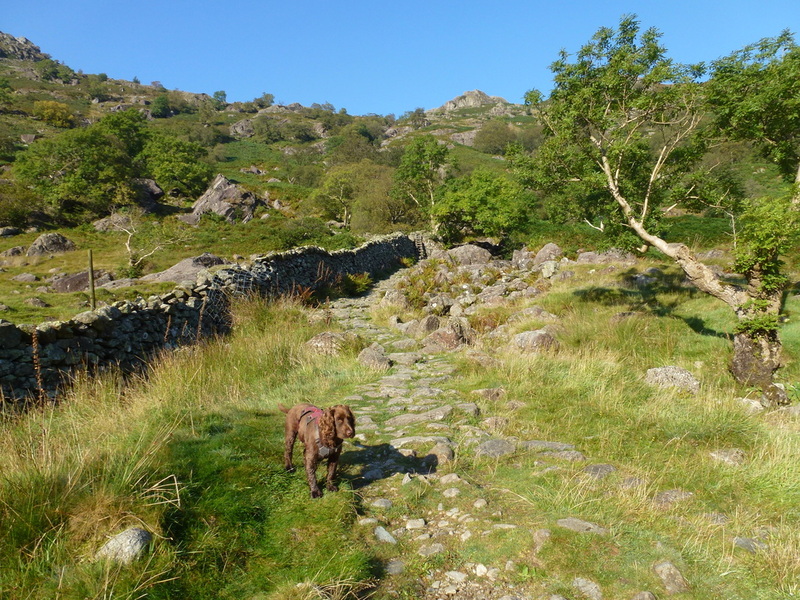 The route headed through the farmyard before turning right at a gate, through an arch and down a walled track. 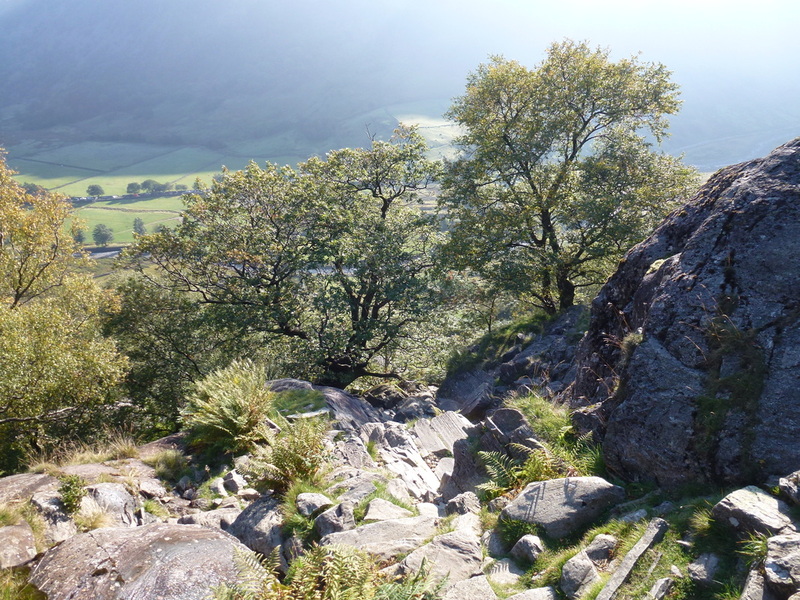 The path then comes to an unusual ladder stile that crossed a wall and then made its way up the left hand side of Sourmilk Gill. 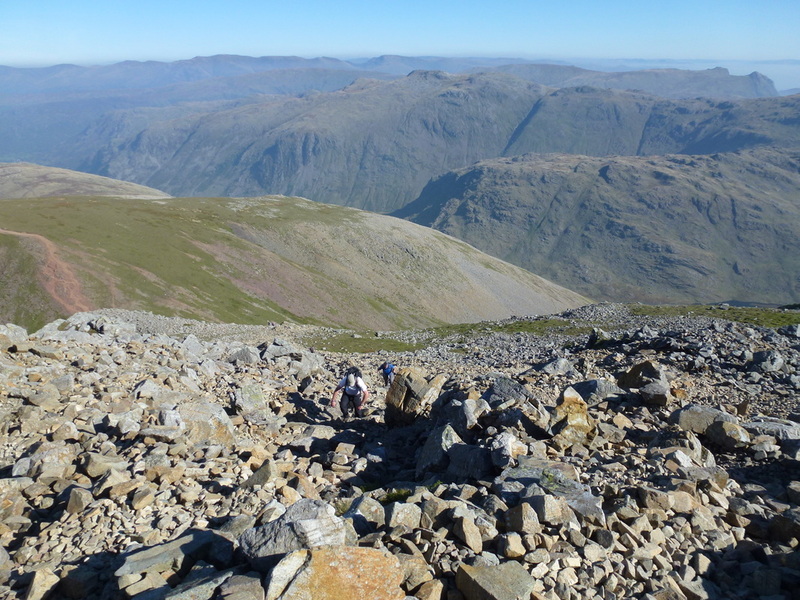 There was some scrambling to be done here but nothing too onerous and we were soon up at the point where the path to Gillercomb levelled out. 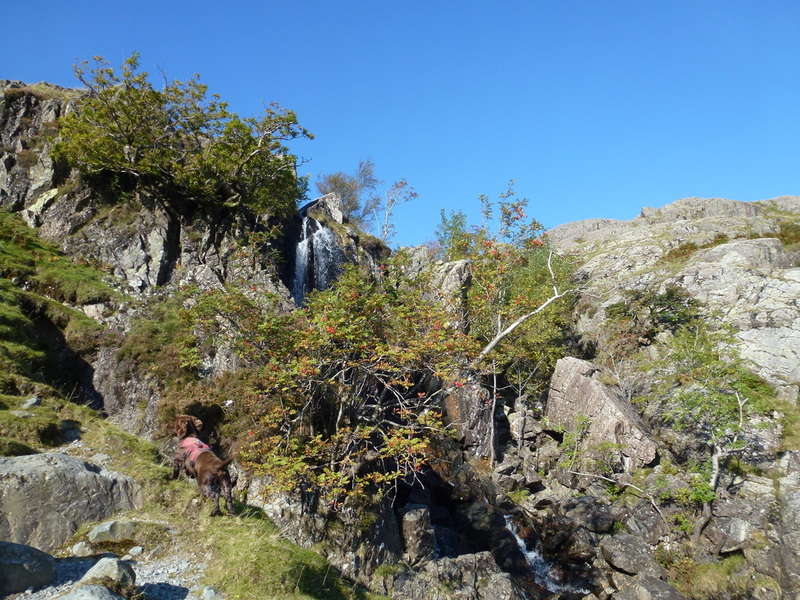 From this point it was time to head off path, firstly to the huge boulder known as the Fallen Stone and then to the Hanging Stone. 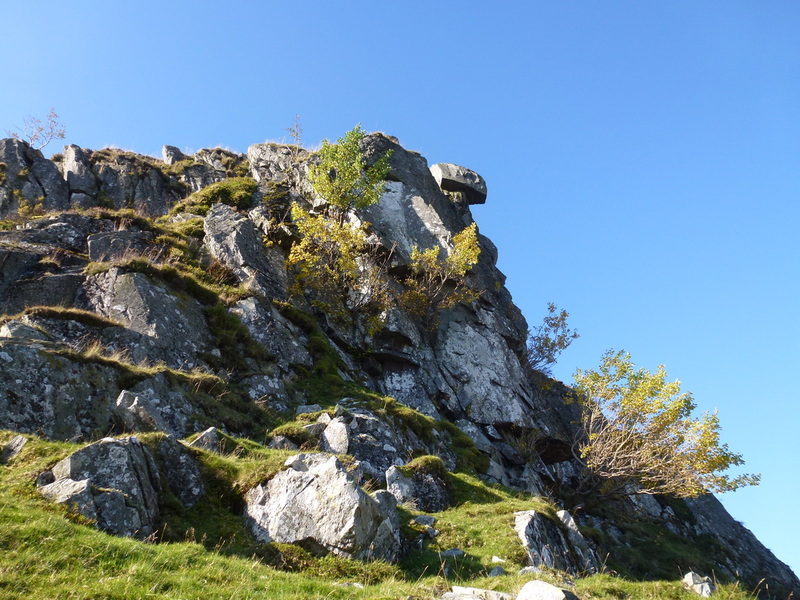 Heading around the crag that houses the latter, there was then a steep pull up to the ridge from where there was a gradual ascent to the summit of Base Brown. 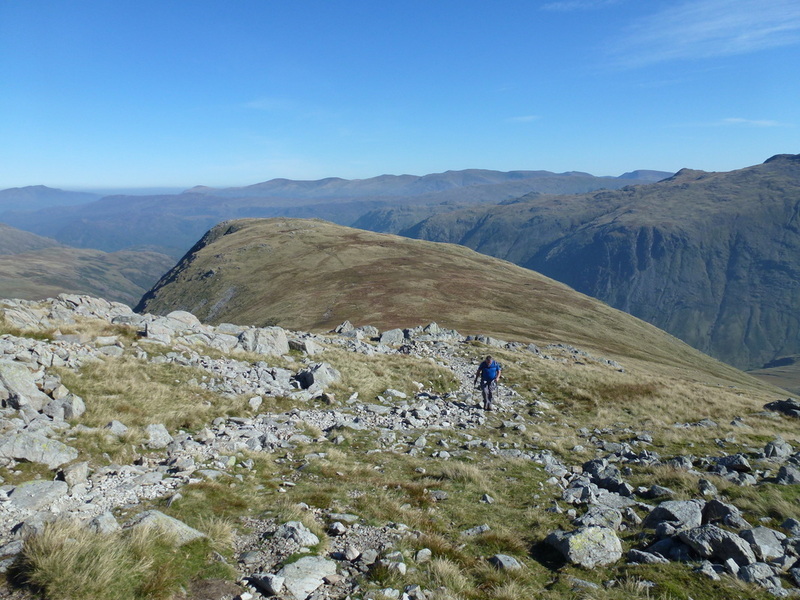 Leaving the summit the route over to Green Gable was right out in front of us, firstly dropping into the col where the Gillercomb path comes up to meet it at Blackmoor Pols and then heading steeply up a cairned path to reach the summit. 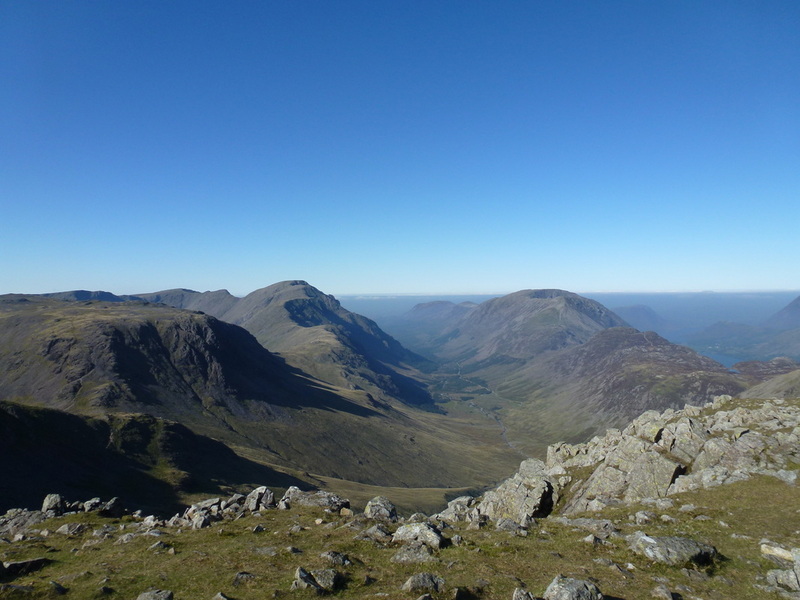 Dwarfed by its big brother Great, the views from Green Gable are simply glorious - looking right down Ennerdale is a view that never fails to impress. 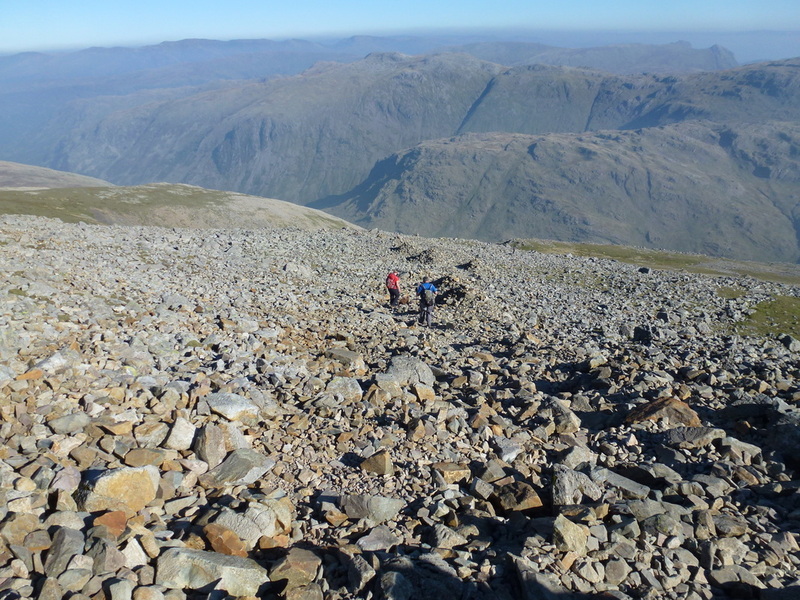 We hung around on the summit for a while and had a bit of lunch before the steep and stony descent down to Windy Gap - there is nothing difficult to negotiate here but care does need to be taken on the loose scree. 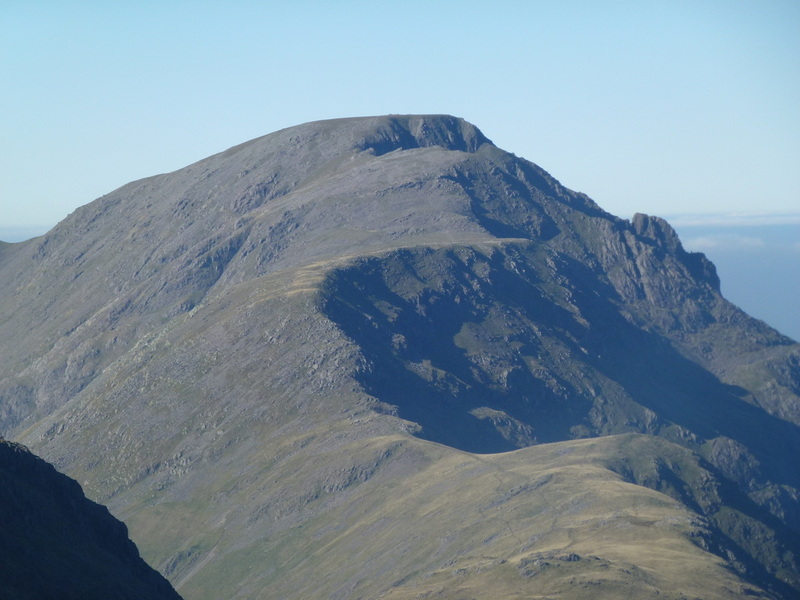 If you do not fancy the climb to Great Gable then from Windy Gap there is an option to head down Aaron Slack to reach the Sty Head path heading back to Seathwaite. 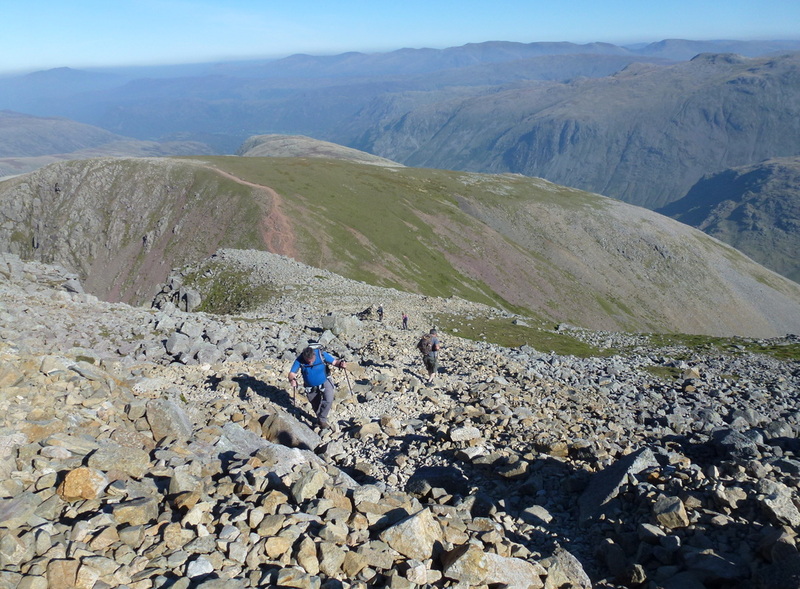 The ascent to Great Gable is steep and stony to say the least but on a day like today it was a lovely climb and worth taking our time over as the views from the ascent were simply superb. 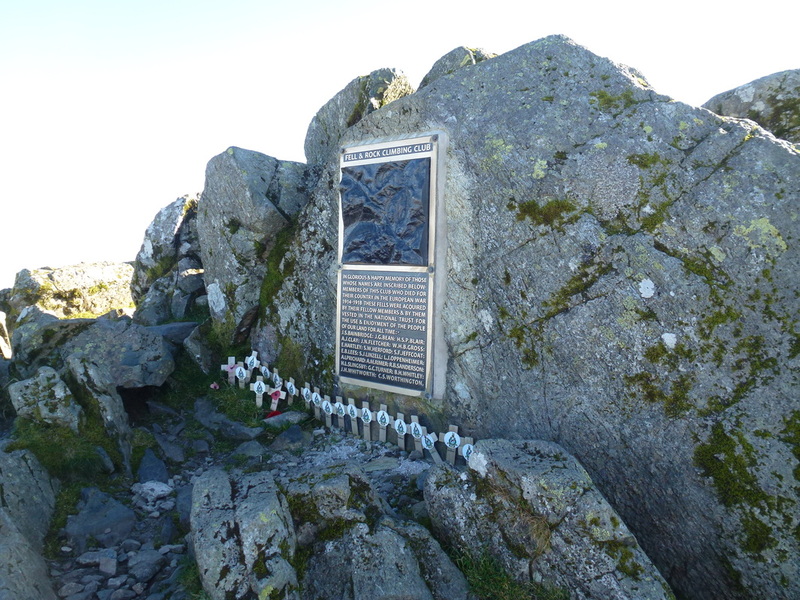 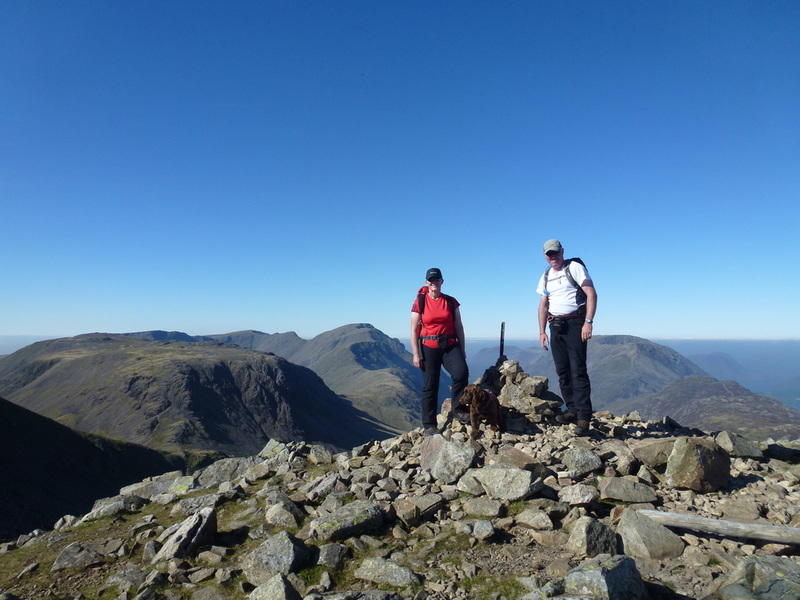 The summit of Great Gable is worth hanging about on and exploring. 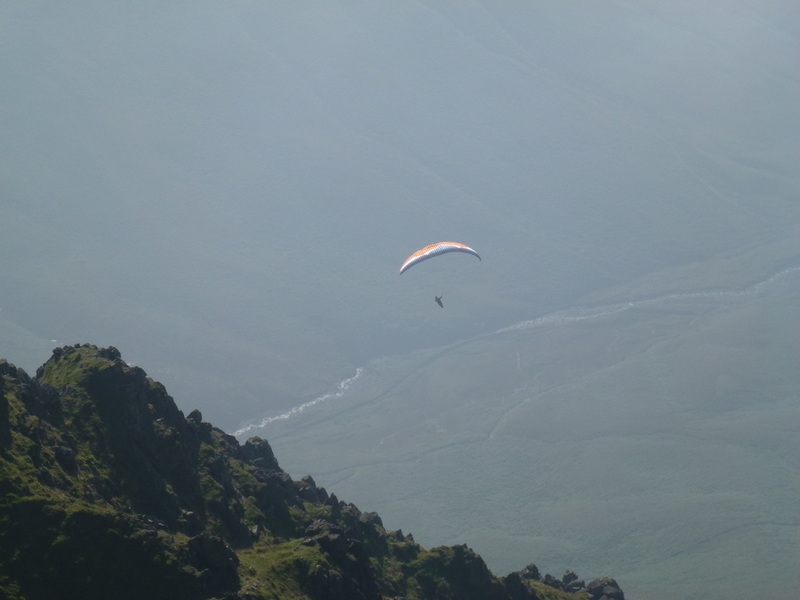 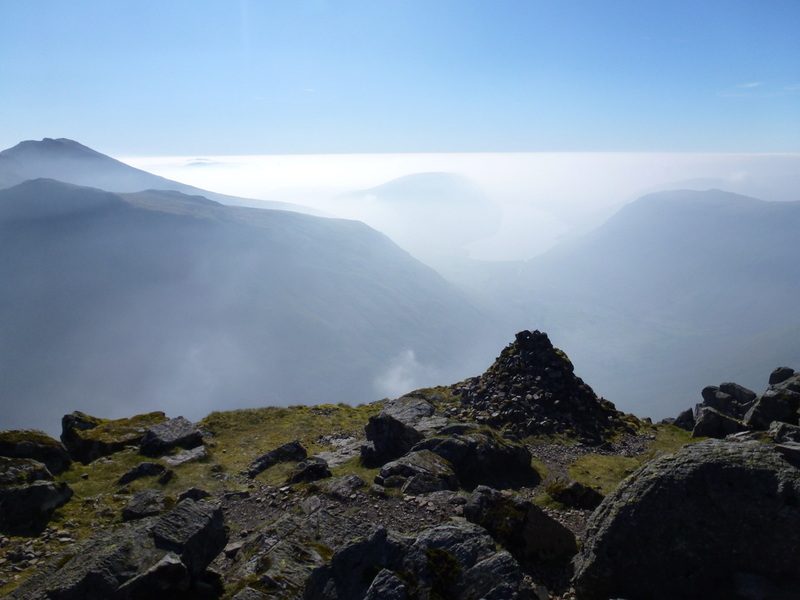 There is lots to see and we therefore hung about to really explore the fell and enjoy the marvellous views, particularly down to Wasdale where there was a hazy view to Wastwater but a fantastic inversion beyond there. 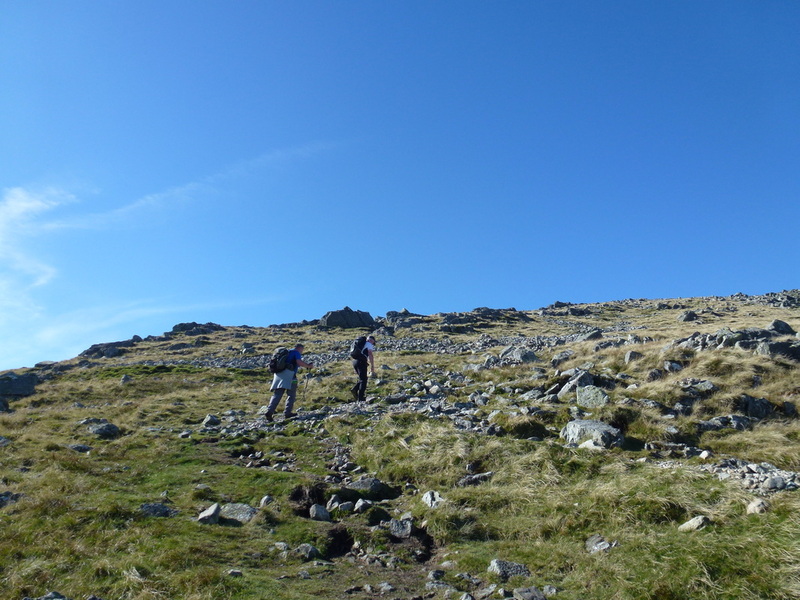 Tearing ourselves away, we headed South East down the stony but good path to Sty Head to reach the MRT Stretcher Box. 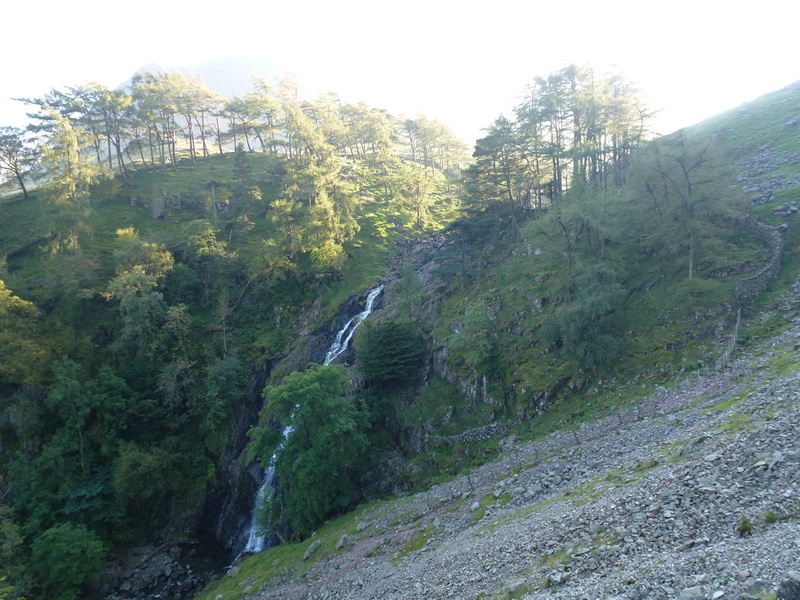 From the junction of paths the route then headed North East to pass Styhead Tarn before we left the main path to cross Styhead Gill to pick up the route to Taylorgill Force. 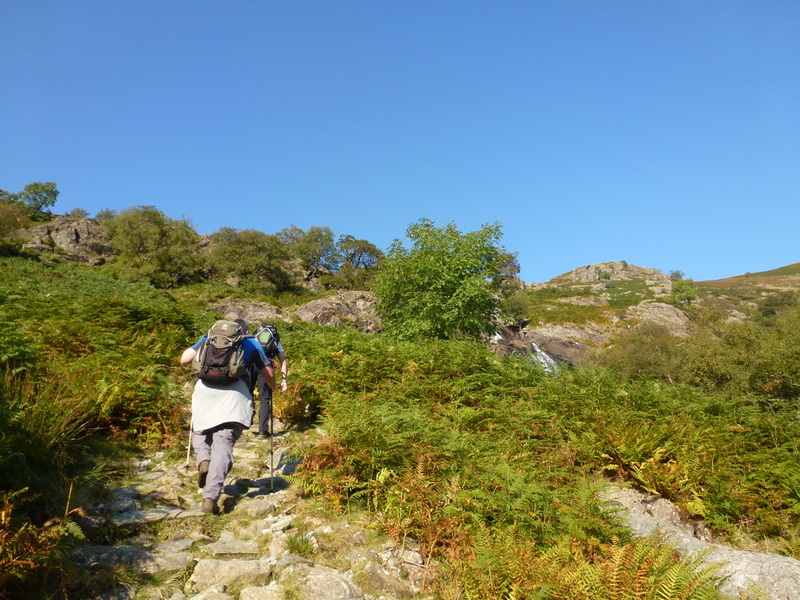 Reaching the plantation the path became steep and scrambly in parts but is not too difficult and we soon reached the Force which was impressive. 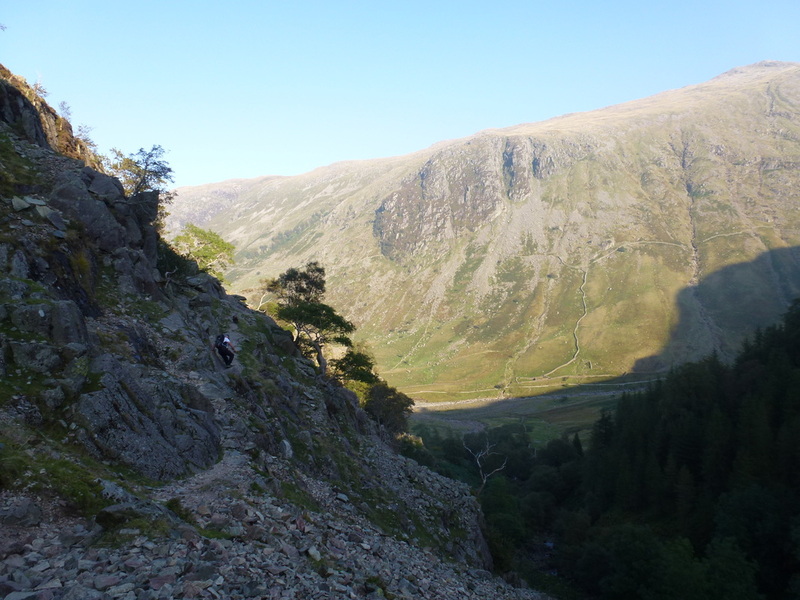 From the Force there was some more scrambling to be negotiated before the route flattened out and finally reached the outward path from Seathwaite. 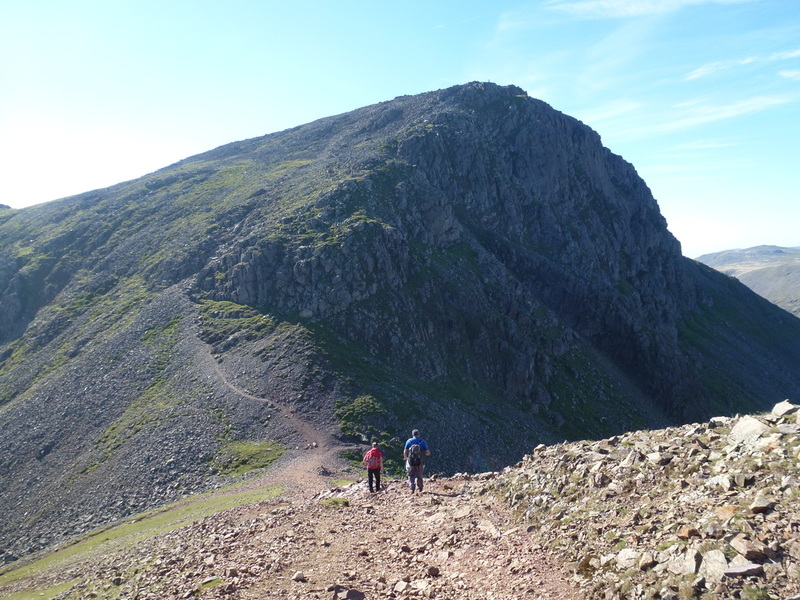 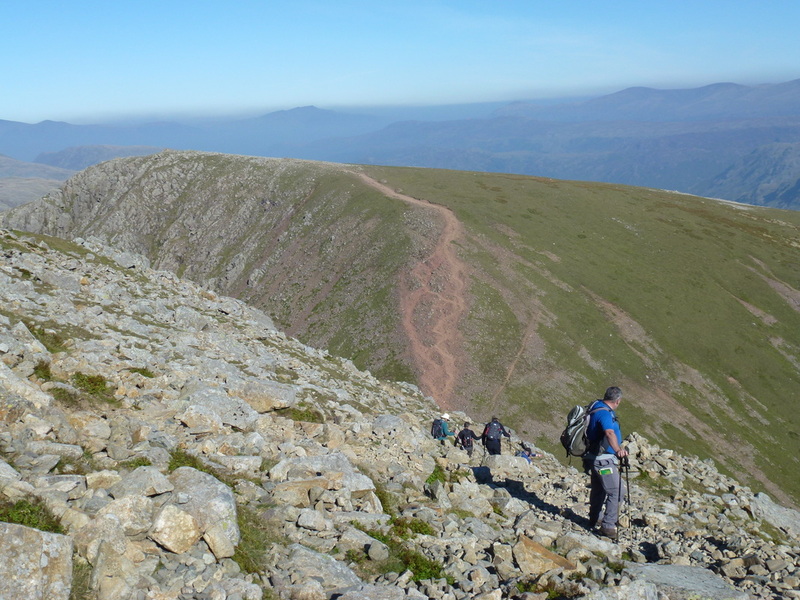 Any visit to Great Gable is special and this route via Base Brown and Green Gable is a great way to get to it. 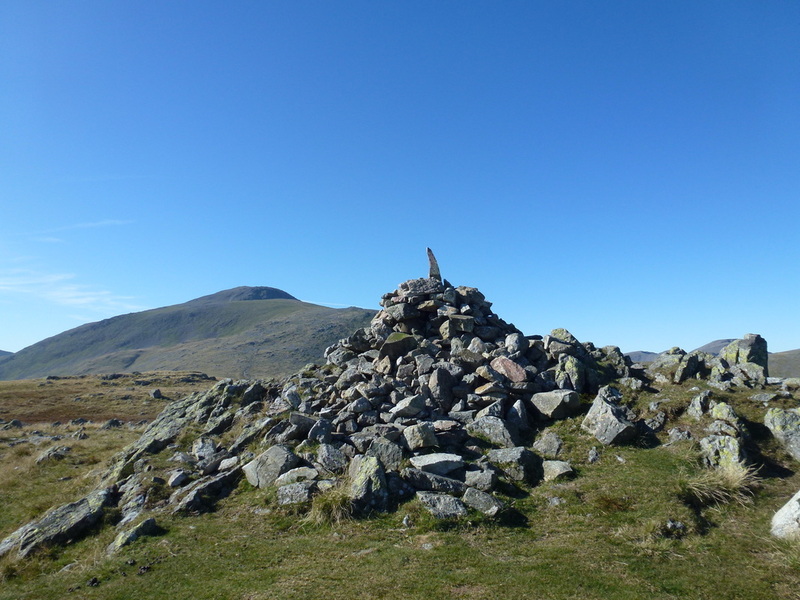 We really did take our time today and while the route was only 7 miles, there was a lot of ascent and descent plus we did not rush the walking or the time on the summits. 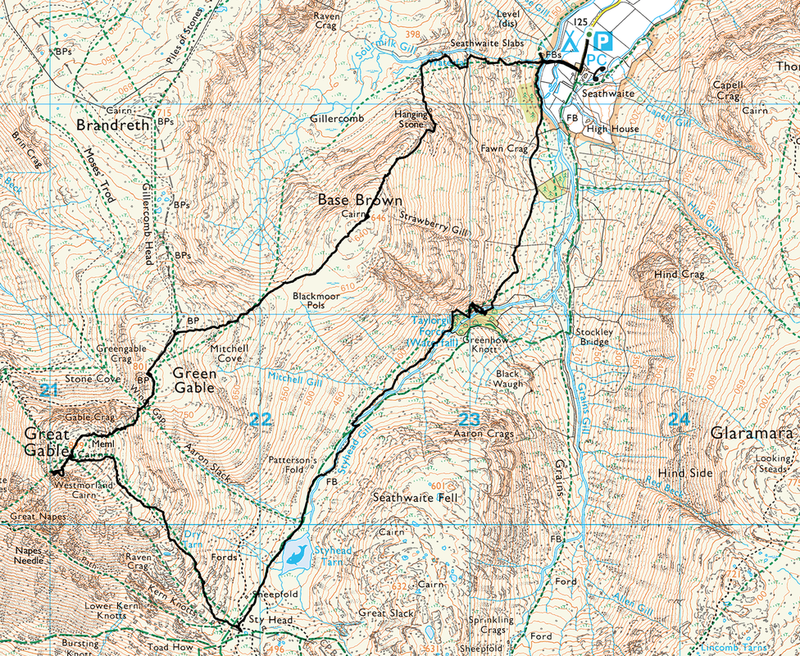 A route to be repeated, hopefully with the weather and visibility we had today. 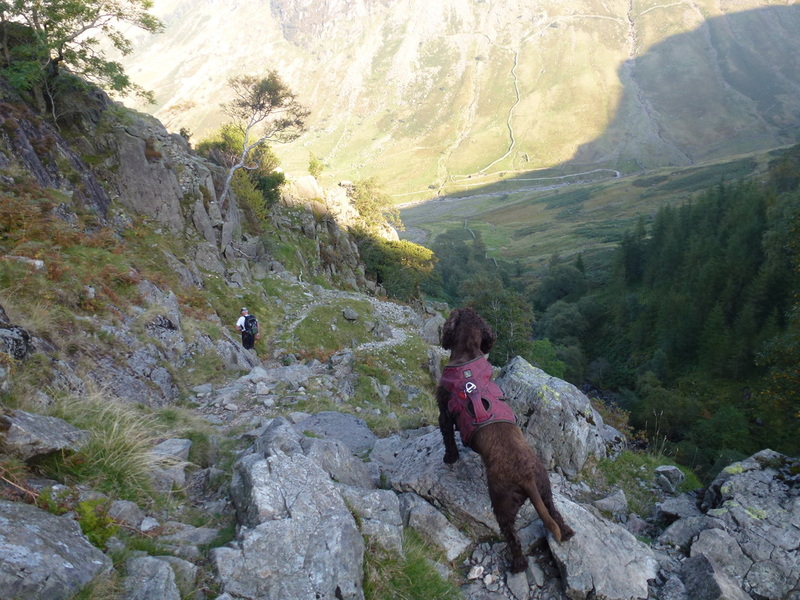 A moment of decision making from Fudge as we continue our ascent - path or the falls of Sourmilk Gill? 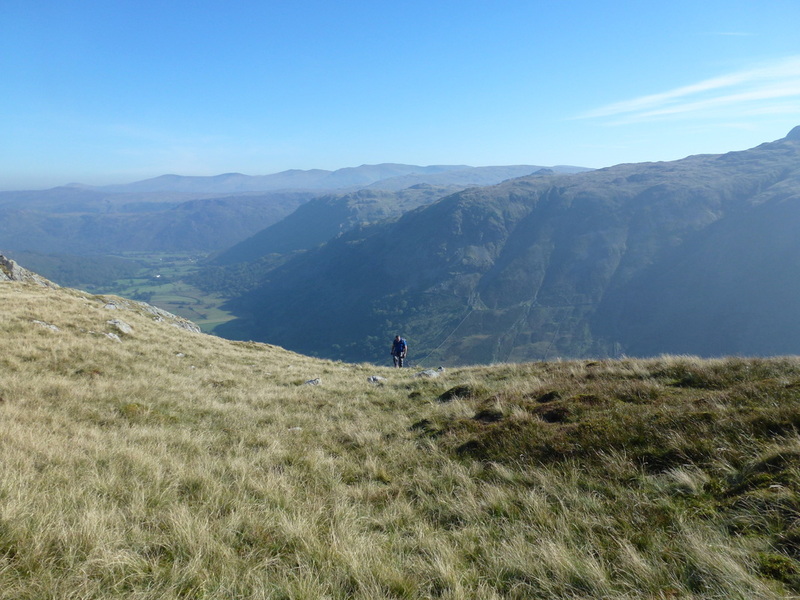 Wayne heading up the grassy ridge to Base Brown - he was enjoying it really! 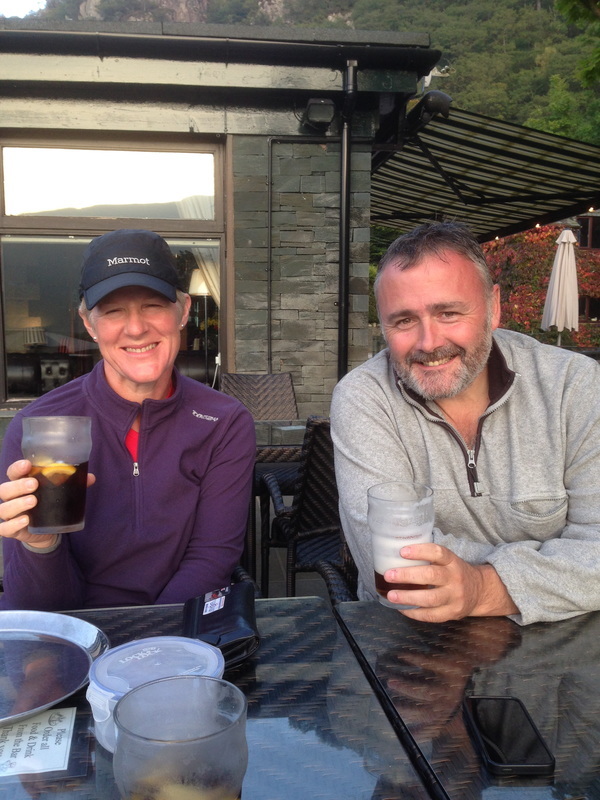 A rare photo of the 3 of us together - thanks Wayne! 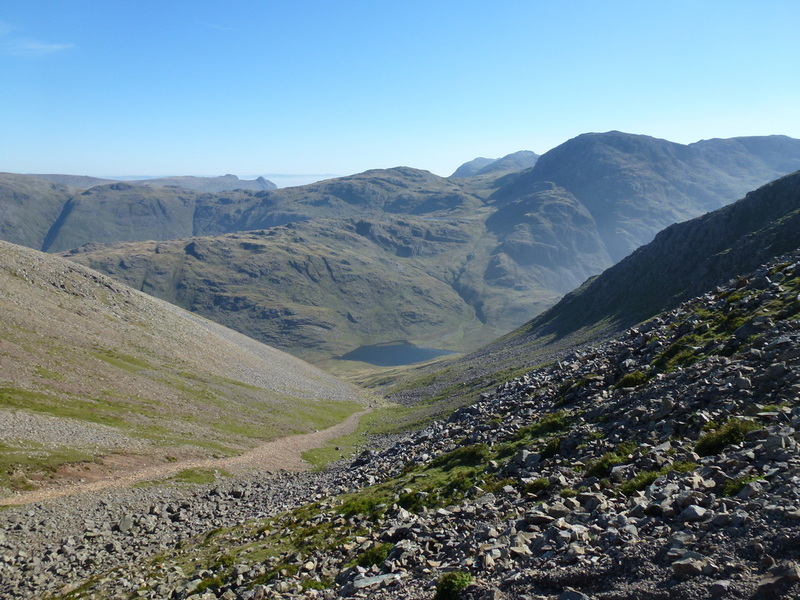 Leaving Green Gable there is a steep & stony descent down to Windy Gap. 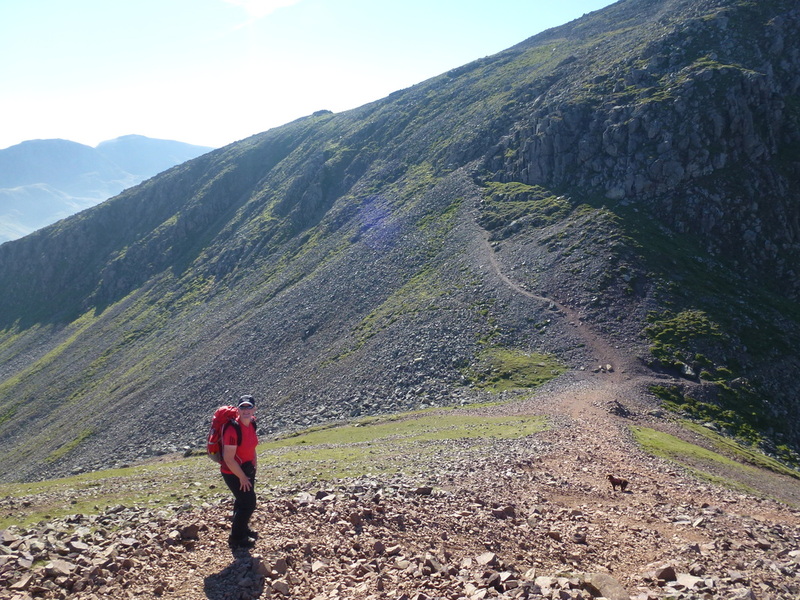 Wayne heads up the steep ascent to Great Gable from Windy Gap. 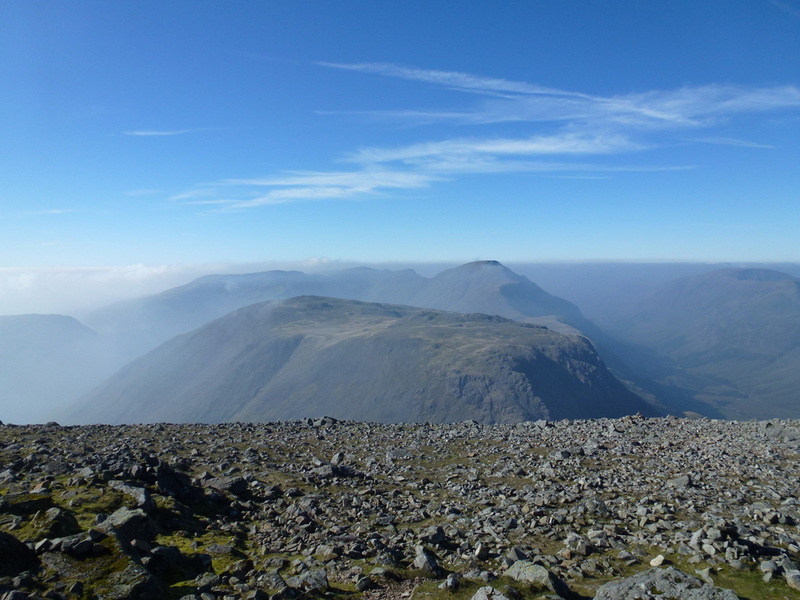 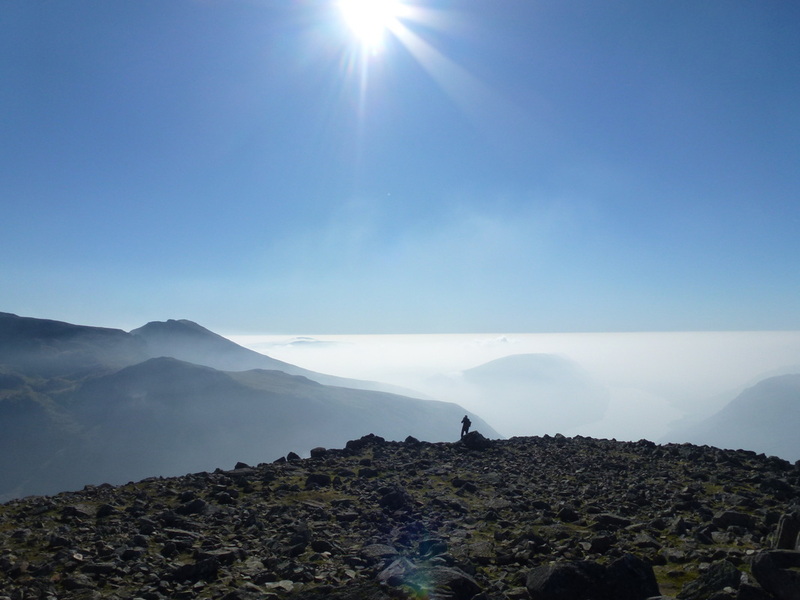 The Westmorland Cairn on Great Gable and a hazy Wasdale. 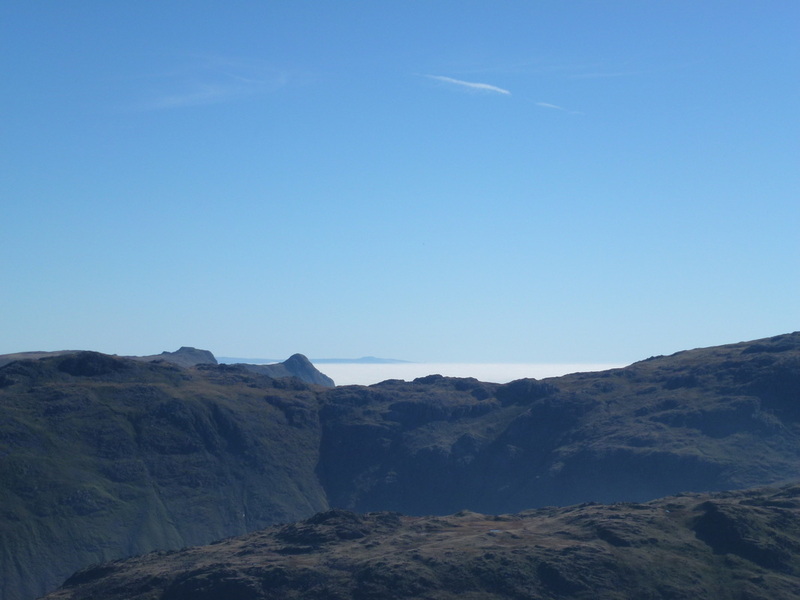 It looks like a cracking inversion over there. 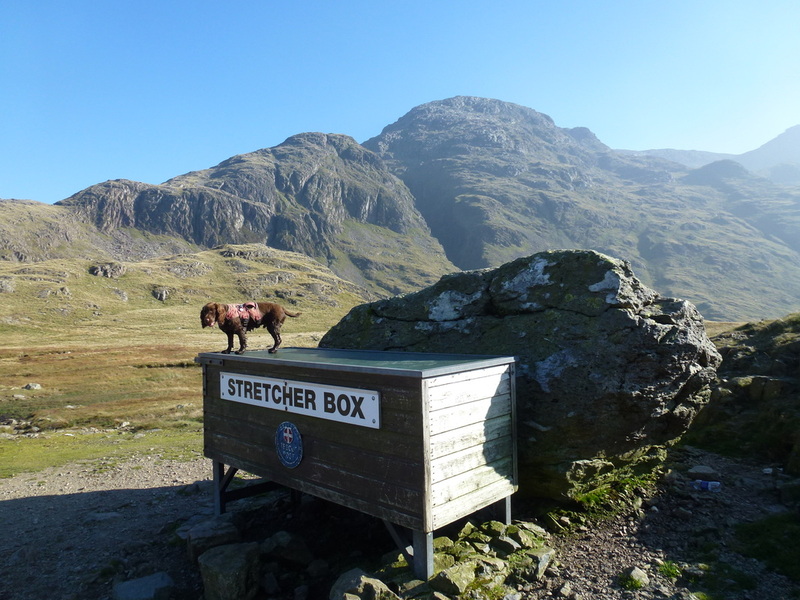 The MRT Stretcher Box at Sty Head with Great End to the rear. 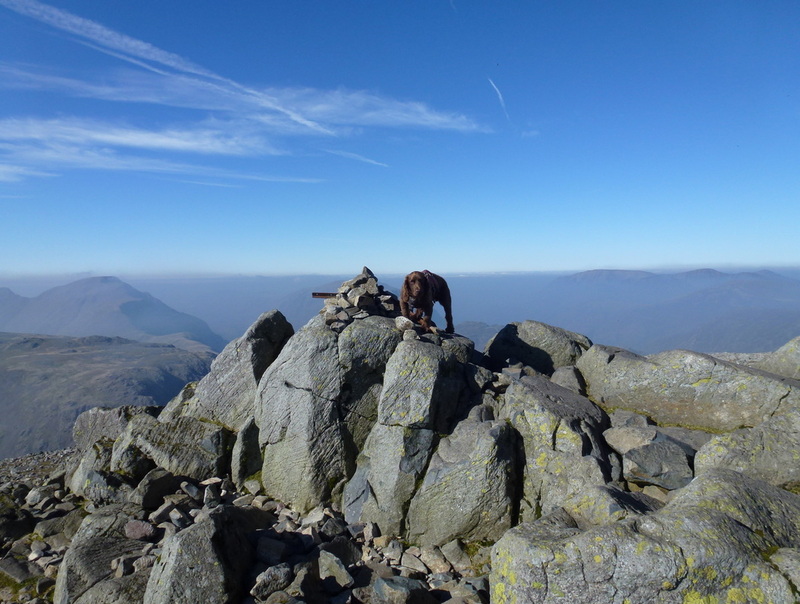 Shame to see people leaving their litter for somebody else to pick up!